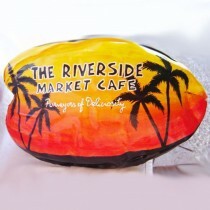 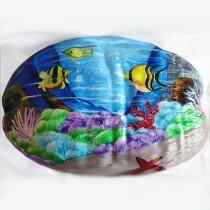 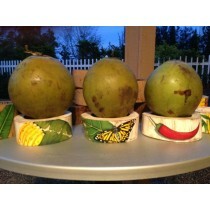 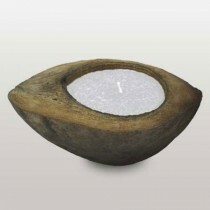 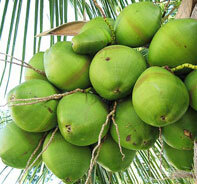 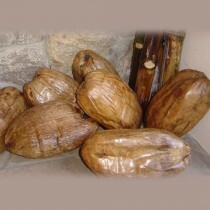 Hand-painted coconuts personalized for decoration. 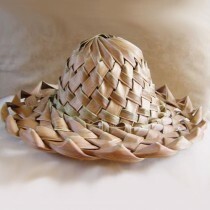 Hand woven hat from a coconut leaf. 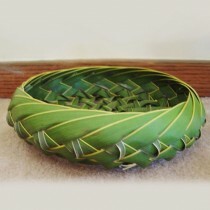 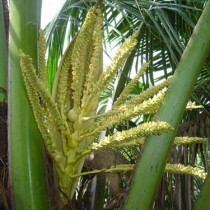 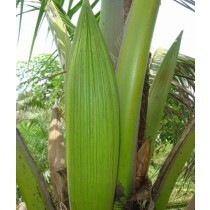 Hand woven basket from a coconut leaf.